Summer is almost here, so it’s time to get in the summer mood. Here are some great songs, both old and new, to do just that. No summer mix is complete without Kygo, so to start us off here is (in my opinion) the best song to get into that summer feeling. Justin Bieber is back and better than ever. With this new song produced by Diplo and Skrillex, it will definitely be a hit this summer. This song is already all over the radio and it has those chill summer vibes that will make it stand the test of the summer charts. Old but gold, we hope you don’t have any sadness this summer. However, this song will probably make a comeback in nightclubs during the summer months. If not, it’s still a great way to get ready for summer. Carly is back with another catchy song that will have us mouthing the words in the car. It may have a different vibe from the rest of the songs on this list but it’ll get me through the summer. Kygo makes a second appearance on the list with his first original song. Another song that has already hit the charts, seeming like it’ll bring us into the sunny weather. It’s called summer, so you might as well use it to concrete the summer feeling in your mind. Anyway, it will definitely bring back summer memories of last year. I honestly don’t care how old this song is, it is always going to be an undeniable summer tune. As will this next one. This song will always bring back fond summer memories. Martin Garrix’s new song will have you up and ready to feel the summer sun. Be prepared to hear this song a lot. Two thirds of Swedish House Mafia bring out this amazing summer song. Although it’s of yet unreleased, it does feature in the H&M advertisement. A song to get you pumped for the summer and all the adventures you’re going to have. This song has serious summer vibes, even the vocal will bring sun to mind. This will surely get you through the summer. Cool is everywhere but Alesso’s newest song which he premiered at Ultra seems like a song better suited for summer. I’m sure we’ll hear it a lot in the coming months. This collab was released last week and has all the makings to becoming a summer hit. With Tiesto and Garrix behind it, there is no doubt it’ll be blaring all through the summer. Forbidden Voices is one of Martin Garrix’s big songs. However this remix will bring it into the summer and give you some serious summer vibes. This song will make you long for summer nights and going out. Summer nights out are always unforgettable, so this song is a perfect one to get you in that mood. Or perhaps a summer evening drive with the gang. Galantis’ first single “Runaway” is high on the charts, their third single seems like it will get you into those chill summer vibes. 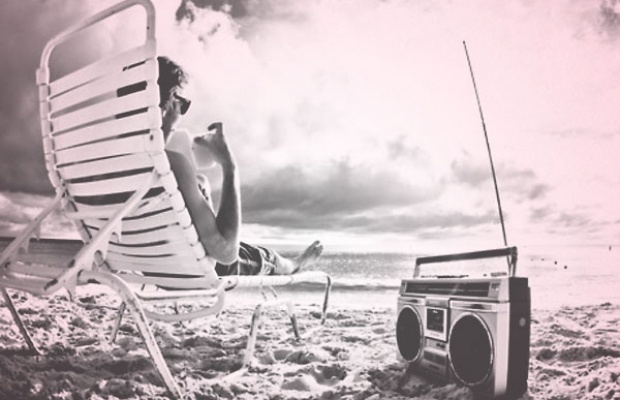 This remix of a classic will get you in the mood for more summer outings. Have a great summer guys.